I have been a wedding officiant in Los Angeles for many years. I have officiated weddings of all kinds, including civil weddings and religious weddings, all over Los Angeles County and Orange County. 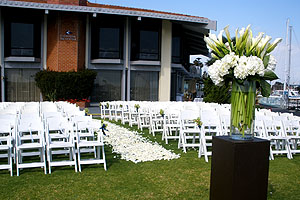 Many of those weddings were in Marina Del Rey wedding locations including the California Yacht Club. 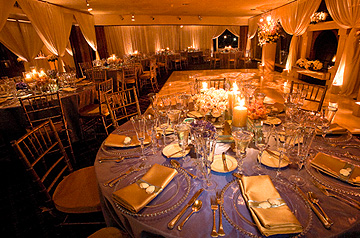 It is a wonderful Southern California wedding venue that you might consider for your wedding. Located in picturesque Marina del Rey, the California Yacht Club is one of the top private clubs in the nation. The California Yacht Club specializes in weddings on the water and offers spectacular sunsets and a panoramic view of the harbor. They offer custom designed menus and friendly personal service. Their wedding ceremony site offers one of the most majestic panoramic ocean views in Southern California. Envision you and your fiance exchanging your vows surrounded by the beautiful Marina. 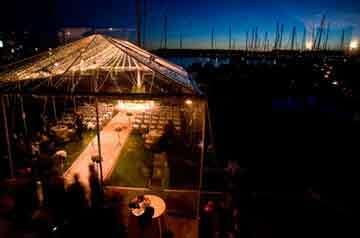 Your reception can be in the elegant Fireside Room or beneath a canopy on the lawn overlooking the Marina. You will be able to design your own custom menu provided by the California Yacht Club’s fantastic catering professionals. As you plan your wedding in Marina del Rey or anywhere else in Los Angeles or Orange County, consider the beautiful California Yacht Club for your wedding ceremony and reception venue. When you are arranging the details of your wedding ceremony please consider this wedding officiant, Officiant Guy, as your wedding minister.